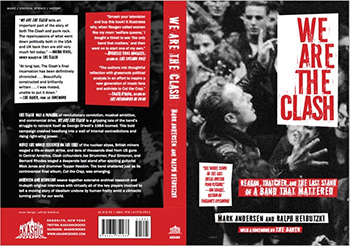 The book We Are The Clash: Reagan, Thatcher, And The Last Stand Of A Band That Mattered has a release date. The latest news posted at the Kickstarter site for the project is that it’s at the printer and is out on July 3, 2018 on Akashic Books. This entry was posted in News and tagged book, Mark Andersen, The Clash by Editor. Bookmark the permalink.